BELFAST is a city built on industry and inventiveness. We are makers and creators, explorers and discoverers. We’re hard-working and practical people who like getTING things done, and done well. IN HOMES OF RICH AND POOR ALIKE THE DEEP, BOXY BELFAST SINK BEGAN TO APPEAR. IT BECAME A FOCAL POINT IN MANY A KITCHEN – WHERE MOST CONVERSATIONS TOOK PLACE. 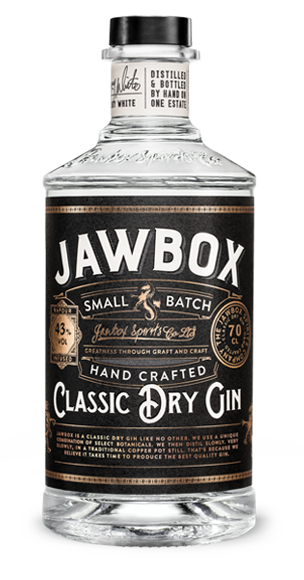 AND SO IT GOT ITS OWN NICKNAME: THE JAWBOX. This is the spirit that inspired the creation of Jawbox – a gin brand for the adventurous, the confident and curious; for those who enjoy every moment.